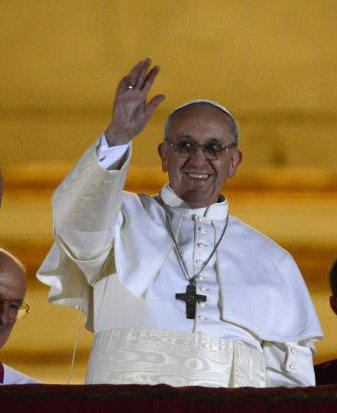 It isn’t every day that one sees a Pope elected. In just my own lifetime, there have only been four such occasions and to billions across the world, it is a significant event, even more so if you happen to be Roman Catholic, which I am not. Despite my non-Catholicism, I still find myself drawn to the occasion as I am sure many Christians are, bringing with them a blend of curiosity and reverence plus a bit of awe at the ceremonial aspects of it and a deep respect at the significance it entails. I am a United Methodist, which I suppose if you want to put it in terms that are easy to understand, is sort of a grandchild of the Roman Catholic Church. We sprang from the Episcopal Church or the Church of England if you prefer, which sprang from the Catholic Church when the Protestants broke away and formed their own church. A healthy dose of our liturgy and ceremony comes from the Episcopal Church and much of theirs comes from the Catholic Church so we are all related in several ways. While there are differences both small and large, at the core we are all Christians and we know from where our roots sprang. It is this sense of spiritual relationship that binds Christians together and although my church doesn’t have a Pope (or even an Archbishop for that matter), it doesn’t mean that I don’t believe in the Pope and what he stands for as the head of the Church that eventually gave me the church I come from. You can’t be the head of the largest Christian denomination in the world and not have a significant impact on Christians the world over. When Paul VI died in 1978, I don’t think I really had much of an idea of what the Pope was or the significance of the position. John Paul I followed him and then died only a few weeks later, paving the way for John Paul II to ascend to the papacy. Like most people my age and younger, most of our lives consisted of the reign of John Paul II and only one Pope ever served longer than he did and that was a hundred years before he came along. I think it is for that reason that his death in 2005 was a shock to me because I really hadn’t known the world of Christianity without his long and significant shadow being a part of it. In many ways I felt sorry for Pope Benedict XVI who came after him. No one in their right mind would ever want to succeed one of the most popular Popes in history. It’s never easy to step into the shoes of a great leader and to follow behind someone who is acknowledged to be the standard by which most others are judged. This in itself was a cross that Benedict took upon himself, knowing he was following someone that he himself venerated. When he was elected, many immediately labeled him as a “transitional Pope” just because of his age. Whether that was true or not isn’t for me to say and I certainly won’t judge him or his papacy. Really, isn’t every Pope a transitional Pope between the one they follow and the one who will follow them? I have no doubt from what I have seen that he is a good and holy man and that is enough for me. The Pope is a standard-bearer for a lot of Christians all over the world. While he is, first and foremost, the standard-bearer for Catholics, he still speaks with the loudest and most far-reaching voice for Christians around the globe. Right now, Pope Francis is the focus of Christians for all the new things he brings to the table, all the firsts he represents, all the aspirations we collectively have and the overall sense of renewal that comes with a new Pope. His influence eventually touches all Christians in some way. In my church, the Bishop of our Conference is the highest ranking official we have and he is just one of many Bishops in Conferences all over the world. We respect our Bishops, all men and women of strong Christian faith and character, yet I sometimes envy the Episcopal Church for having their Archbishop of Canterbury and the Catholic Church for having their Pope. There is a lot to be said for having a central leader that sits at the head of a Church and who serves as the spiritual representation of our beliefs and our doctrine but I also know that this wasn’t the path the Methodists were set upon. Our system has worked, sometimes well, sometimes with bumps in the road, for a couple of hundred years anyway. Still, having followed all the news, read hundreds of “Tweets” and sifted through many opinions written by others, I have been uplifted at outpouring of Christian faith, just as I have also been dismayed at the acrimonious venom spewed by others. Some have called for an end to the Papacy, calling it outdated and unnecessary in today’s world and claiming it to be out of touch with what Christians want today. When did it become about what we want and stop becoming about what God wants? Who are we to determine and define what Christianity is when that has been done for us? Christianity is about accepting what God wants from us and in the way God expects us to receive it. If we don’t want it for what it is, we don’t have to accept it. We have that freedom of will to choose. Christianity is about giving in to the will of God and not shaping God into what we want Him to be. It’s pretty much that simple. The Pope is to the Catholic Church and really, to Christians everywhere, the oldest and longest lasting link to the very foundations and origins of the Christian faith, dating back to Peter, a Disciple of Jesus Christ. As a traditionalist, I embrace the longstanding traditions that date back so many centuries, that fly in the face of a modern world and while I think the Church can grow and change with the times, I think we can also hold on to traditions that date back to the beginnings of it. The Church is one of the few things that can be all things to all people when we accept it. My grandfather wrote a sermon once that I later preached as my very first sermon. It is the only one of his that I have ever used but I needed to feel his strength that first time and I chose one that I was reminded of today because in that sermon, he mentioned St. Francis of Assisi. He quoted St. Francis when he said “It is of no use, my son, to walk anywhere to preach unless we preach everywhere as we walk.” When they announced Pope Francis, it made me smile to think about that, especially after hearing of what a Godly and humble servant he was as a Cardinal Priest. I hope he lives up to the example of St. Francis. Today is a day of celebration. We have witnessed a historic moment in the history of Christianity, regardless of the denomination. The election of a new Pope brought Christians together for a moment in common and shared wonder, in both prayer and in celebration and when we pray together and celebrate together, we are reminded that the differences that separate us are far less important than the common threads which bind us together.